I absolutely love sharing my secret Cyprus travel tips to help you find the best things on our beautiful island. The camera is always at the ready to capture a special moment. My only problem is I have SO many photos, I just wish I had more time to upload them all and write a story to go with the best shots. Is there any chance you could help me out here? I would LOVE to hear about YOUR best moments on the island too, secret places YOU managed to find or that favourite place, restaurant, beach or anything else that makes you love Cyprus. Not to be competitive or anything, but I can feel a contest coming soon for the best Cyprus travel secret or magical moment caught on film :) Personally I just LOVE taking close up pictures of wild flowers - the colour and vibrancy in the images is simply breathtaking. Share your top Cyprus holiday tips - write your very own review. Show me your favourite Cyprus cat photo or your cutest dog picture. Maybe you got married on the island of love? Tell my readers about your fab sunshine wedding. NEW Become a news reporter and write or comment on a Cyprus news story. Perhaps you have taken some amazing wild flower pictures? Or you'd like to tell others about your own secret special restaurant hidden away from the tourist crowds? If you love Cyprus as much as I do, please DO share your story and photos with me and help to make the information on this site even more special for all my visitors. Share your Cyprus stories with me here. Just find your travel story topic on one of the links below and type away - it's really easy! Write a TRAVEL REVIEW about a hotel, your favourite villa or anything else! Tell me about your FAVOURITE BEACH in Cyprus. Upload your CUTEST CYPRUS CAT PHOTO. Upload your cutest DOG PHOTO. Share your favourite WILD FLOWER PHOTOS. Write a CYPRUS NEWS STORY or comment on the news. OR if you have a general story about your travels to the island that does not fit into any of the links above, use the form on this page to share it with others who love Kypros as much as you do. I will convert your story into your very own webpage for everyone to read...and then you can get your friends and family to comment on what they think of your writing! They can also LIKE your page, spreading the word to their Facebook friends about how fantastic Kypros is. I can't wait to hear about YOUR secret Cyprus travel stories. Share them with us so others can enjoy Cyprus as much as we do. Your very own travel story will appear on a Web page exactly the way you enter it here. You can wrap a word in square brackets to make it appear bold. For example [my story] would show as my story on the Web page containing your story. Great travel stories are enhanced by a great photo! Do you have a picture to add? Great! Click the button and find it on your computer. Then select it. Click on the links below for travel stories written by other visitors to Cyprus and the Cyprus Travel Secrets website. 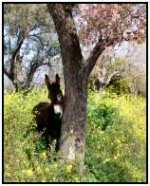 A poignant Cyprus tale - Kindness is not foreign, it exists everywhere. Why Vist Cyprus - for the fifteenth time?